Here's a 2009 year end review from Google Wave and the folks at Jib Jib. Now let's have some fun and Celebrate the Countdown To New Year with Jim Carrey. It's the end of the year 2009 and the 6th Annual Curbed Awards are being handed out. As is our yearly tradition, it's time to make up a bunch of awards and hand them out to the most deserving and important people, places and things in the real estate, architecture and neighborhood universes of New York City! Yep, it's time for the Sixth Annual Curbed Awards! Anyway, a big pat on the back to Roosevelt Island for being awarded 2 spots in the 2009 Curbed Top 10 Craziest Renderings of the Year. 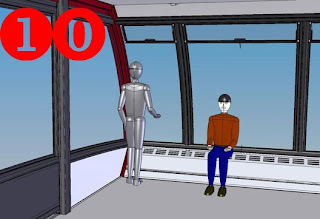 This was the year Skynet took over the Roosevelt Island tram replacement project, and the world was better for it. This rendering may actually come true, and we're not just saying that because there's a cyborg holding a gun to our head. What is Dragonfly? It is a vertical urban farm for Southpoint Park. 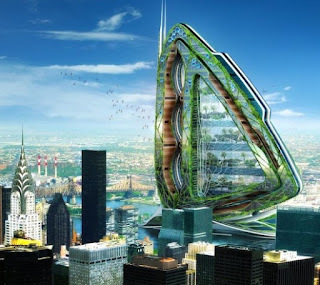 Gizmodo had more on the Dragonfly urban vertical farm for Southpoint Park, Roosevelt Island. Also, let's not forgot the aforementioned 2007 Art & Urbanity Curbed Winner, the spectacular Roosevelt Island Tower of Death. DHCR Commissioner/RIOC Chairperson VanAmerongen Resigns To Take Position With Affordable Housing Law Firm - What Does This Mean For Roosevelt Island? ... Ms. VanAmerongen is jumping to the private sector ship, joining a firm that has an active affordable housing group and one that does significant work with Ms. VanAmerongen's agency, the Division of Housing and Community Renewal, including deals this year. Of course this public sector-to-private sector shift is not all that uncommon—City Council Land Use Chairwoman Melinda Katz, for instance, is headed to the law firm Greenberg Traurig, which represents developers before the Council. A spokeswoman for the DHCR said Ms. VanAmerongen recused herself from decisions with the potential for conflict of interest. There are currently and will continue to be affordable housing issues for Roosevelt Island particularly in regard to the ongoing privatization efforts at the Mitchell Lama Rivercross, Island House and Westview buildings. Be interesting to see what role, if any, Ms. VanAmerongen and Nixon Peabody have in the future for Roosevelt Island Affordable Housing. UPDATE 1/6/10 - More here. 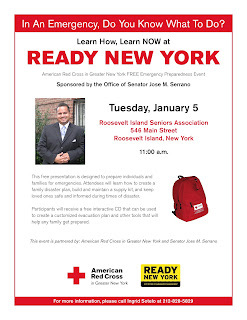 State Senator Jose Serrano is inviting Roosevelt Island residents to an Emergency Preparedness Workshop on January 5. Senator Serrano, the American Redcross in Greater New York, and the NYC Office of Emergency Management will offer this free presentation, designed to prepare individuals and families for emergencies. Attendees will learn how to create a family disaster plan, build and maintain a supply kit, and keep loved ones safe and informed during times of disaster. More infomation is available at the NYC Office Of Emergency Management (OEM). "... We heard several complaints afterward about the performance of FDNY afterwards. I spoke with Lt. Philips at Engine 260, our nearest firehouse. The discussion was in the spirit of comparing notes and lessons learned. Overall, there's a little bit of improvement everywhere: FDNY, RIOC, Public Safety, managing agents, and residents themselves. RIRA will be compiling an informative list for an upcoming Town Hall meeting. ..."
You and I had a meeting to discuss some Lessons Learned and you arranged for a later meeting with local FDNY Battalion Chief to continue the cooperative discussion. Since our meeting with FDNY, I've seen the trucks (Engine 260, Ladder 116) on several weekends doing training. I appreciate your help convening the meeting with FDNY: it was very productive, informative, and cooperative. I hope you and your family are enjoying the holidays! You're welcome Frank. I wish you and your family a Happy New Year and look forward to working productively together in 2010. More on the November 30 fire at Roosevelt Island's Island House. Received the following message from Congresswoman Carolyn Maloney's office. Roosevelt Island, NY, December 23, 2009 – U.S. Representative Carolyn B. Maloney this evening joined Executive Director Charles DeFino and staff at the Roosevelt Island Youth Center to help distribute “Toys for Tots” at the Center. Every year, Congresswoman Maloney helps the United States Marine Corps (USMC) distribute thousands of Toys for Tots to children at youth centers and in public housing developments in New York’s 14th Congressional District. This year, the USMC named the Congresswoman’s late husband Clifton Maloney an Honorary Vice Chairman of the Toys for Tots program in New York City. "2009 USMC Toys for Tots Honorary Vice Chair and Navy veteran Clif Maloney lived life to its fullest. I know that his wife, the Honorable Carolyn Maloney, and their two beautiful daughters will continue to serve their community and the underprivileged children of New York,” said Major Chuck Kilbride of the USMC. “We at Toys for Tots are privileged to donate these new toys to the kids of Roosevelt Island as a symbol of hope on behalf of all the members of the Marine Corps. God bless America." The USMC’s “Toys for Tots” programs collects new, unwrapped toys during October, November and December, and distributes those toys as Christmas gifts to needy children in communities throughout the United States. Every year, Maloney and her staff help the USMC distribute toys to underprivileged children throughout New York’s 14th Congressional District, which includes Roosevelt Island and most of Manhattan’s East Side and western Queens. 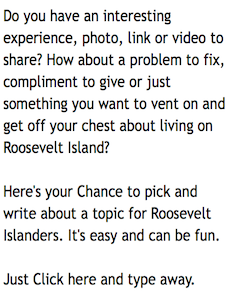 More information on Roosevelt Island Toys For Tots from RIOC and the Marine Toys For Tots Foundation. ... Director Frederick Renz has selected caroles, noels and motets dating from the 15th and 16th centuries, that emanate from sacred and secular rituals across Europe. Celebrate the twelve days of Christmas in the candle-lit, holly & ivy festooned Cathedral! Even Rockefeller Center has nothing over this Brooklyn neighborhood during the winter holidays. Dyker Heights, which is world-famous for its magnificent Christmas light displays, certainly isnt cutting down on electricity this season because of a dwindling economy. You can go yourself or take a tour with A Slice of Brooklyn though the tours are sold out this weekend but available for Monday and Tuesday. There's always Chinese Food on Christmas. On Roosevelt Island this Holiday weekend, the Farmers Market is open on Saturday as usual as is Gallery RIVAA, the Roosevelt Island Visual Arts Association. Another suggestion - RIOC has produced a great self guided tour map (PDF File) of Roosevelt Island for any visitor or resident looking to stroll the Island and learn something more about it. Wow, I'm looking out my window now - Can it be? I think I see Santa flying over Roosevelt Island and the Queensboro Bridge. You can track Santa's route at the Official NORAD Santa Tracker. Hope you've been good this year. Live version of Springsteen's Santa Claus Is Coming To Town here. The most recent Roosevelt Island 24 hour Public Safety Report is posted daily on the blog's inside right sidebar, just below See Click Fix Roosevelt Island. Listed is a daily log recapping local incidents the Roosevelt Island Public Safety Department responded to the previous day. RIOC is also posting the Daily and November Monthly Roosevelt Island Public Safety Incident reports on their web site. A breakdown of Roosevelt Island Public Safety incidents by location and category (the Blotter) for the months of November 2009 is available as well. Investigation/Possible Burglary-At an apt. No forced entry. reported who relieved a fellow diplomat reported that the apt was open and all furniture missing. PSD, UA and NYPD responded. NYPD filed a report and advised reporter to contact other diplomat who had resided in apt. Domestic Dispute- Between Mother and Son over Christmas gifts. PSD, NYPD responded and filed a report. Found Property- a ring. It was secured in PSD. Aided- A Coler Hospital patient fell from his wheelchair in the street. EMS responded and lifted him up. He refused transport and went to Coler Hospital. Reckless Endangerment- Beer bottles thrown from a building. Reported by UA. PSD conducted a search of possible subject and responded to an apt. Resident there stated he was alone and did not throw anything and he refused to allow PSD to enter apt. Investigation- An Island resident came to PSD to make a complaint. But when asked to provide information of the complaint by 2 PSD officers she refused and became irate. PSD checked the floor she resides in and all was in order. Tenant left PSD. Investigation - Resident reported to PSD of a unknown condition. PSD made search of area with negative results. Domestic Dispute - PSD with NYPD responded to an apartment for dispute. NYPD filed Domestic Incident report. No injuries or property damage. Alarm - PSD responded to an alarm. PSD along with employee checked inside and appeared in order. Alarm was turned off. Tram Temporary Outage - Tram employee called PSD to report that the tram was out of service. Condition was corrected and tram resumed service. Possible Aided - Home Attendant notified PSD that her client was not answering his door. Super opened door and tenant was not home. Investigation - PSD received complaint of bike chained to a pole. Chain was cut and bike was brought to PSD. Owner picked up bike. Aided - PSD along with super checked apartment for tenant. Apartment was checked and aided was not home. EDP - PSD responded with NYPD for possible suicide called in by aided's doctor. Aided was not home, but entered PSD later stating she was ok.
Aided - PSD was notified by aided that he was not feeling well. EMS responded and transported aided to hospital. Dispute - PSD responded to group home for dispute between two teenagers. Both parties were spoken to by PSD and the teenagers went to their rooms without further incident. No injuries reported. EDP/Aided - PSD observed female walking in the middle of the street. Female was incoherent and brought to PSD. NYPD and EMS responded. Aided was transported to hospital for evaluation. Dispute- Report of two male youths fighting in an apt. PSD responded youth stated that they were play fighting. No injuries. Reporter to notify the group home headquarters. Aided/EDP- female walking in the middle of the street and interfering with traffic. PSD Officer approached male who was incoherent and irrational. EMS transported her to the hospital. Aided- a Coler Hospital patient in a wheelchair was screaming that it was too cold outside. PSD responded and notified EMS. EMS transported aided to the hospital. Domestic Dispute- Between husband and wife a day ago. NYPD responded and filed a report. PSD was not notified at time of incident. Wife did not want husband in apt. Matter was referred to UA Management. Aided/DOA- Home attendant called various times to reach the client in his apt. But there was no answer. UA and PSD responded and resident was unresponsive. EMS responded and declared he was deceased. Medical examiner removed the deceased. NYPD secured the apt. Smoke Condition- Tenant reports smell of smoke in apt. PSD responded and detected odor of cigarette coming from the bath room vent. Matter referred to UA Management. Aided- A male Coler Hospital patient felling ill. EMS responded and transported him to the hospital. Trespass/Open Container- Three subjects arrested by PSD. Disorderly Conduct/Refusal to move- PSD responded for a disorderly group. All left but one subject who after several requests refused to leave. He was taken into custody and arrested. Aided- An ill person was taken to the hospital. Car stop/Disorderly Conduct- Motorist committed a moving violation and was stopped by PSD. Motorist refused to comply several times with PSD and PSD Sergeant to provide his documentation. Motorist became disorderly with PSD Officers and started screaming. He was sprayed with Pepper spray. EMS and NYPD responded. Motorist refused transport to the hospital. He was issued three summonses. Verbal Dispute- Between a RIOC Bus driver and a passenger over the fare. Passenger reached over to the coin slot and removed a coin then left. PSD responded and filed a report. No injuries and NYPD refused. Harassment- Between two females. Subject threw water at the victim and fled. PSD responded and conducted a search with negative results. No injuries. NYPD refused. Criminal Mischief- A hole in the wall of a hallway of a building. UA was notified and made temporary repairs. Permanent repairs to be done on Monday 12/14/09. NYPD refused. PSD responded and conducted a search with negative results. Smoke Condition- A tenant accidently burnt food in the apt. PSD and UA responded. the windows were opened in the hallway to air out the smoke. No injuries and no property damage. EMS refused. Aided- Male had a mild allergic reaction. EMS responded and he refused transport. he stated that he was fine. Aided- Elderly female fell from a two foot latter and sustained injury to her ribs and a laceration to her right leg. EMS responded and transported her to the hospital. Aided/EDP- A female teen stated to her adult sister that she wanted to kill herself with pills. NYPD, EMS and PSD responded. Female was taken to the hospital for evaluation. Harassment- Between two female tenants. PSD and NYPD responded. NYPD filed a report. Aided- An ill female with chest pains and difficulty breathing was taken to the hospital by EMS. 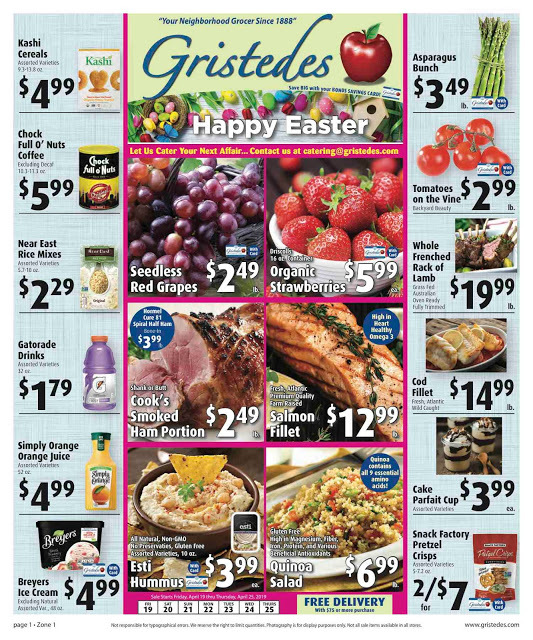 Investigation- RIOC parking sign removed by Grestedes Super Market employee. PSD responded and retrieved the sign and issued summonses to vehicles illegally parked at the loading dock. Employee warned and admonished on removing the sign. Forcibly Touching/ Harassment-Adult female resident reported an adult male known to her was intoxicated and touched her inappropriately. No injuries. NYPD refused. Aided- Gold Water Hospital Patient in a wheelchair fell. PSD and EMS responded and lifted him up onto the wheelchair. He refused transport to the hospital. No injuries. Aided- An elderly female resident felt ill. EMS transported her to the hospital. Later her daughter came into PSD and was notified. Aided- Youth fell in the street and sustained a small laceration to the left knee. She was escorted to the father at the Motorgate Garage. Father refused EMS and to provide any on information. Possible Aided- a Social worker requested that PSD check on a resident. PSD responded and he was not home. The Visiting Nurse of New York manager located him at the hospital. Possible Aided- Food left front of apt. UA Super requested PSD respond to check on the tenent for concern that the per son may need medical assistance. Tenant not home and UA locked and secured the apt door. Vehicle accident- Between 2 vehicles. One was parked the other struck it while parking the vehicle. No injuries. Minor damage to the parked vehicle. NYPD filed a report. The insurance company was notified. Water leak- At two apt in the East Wood. No damages. UA notified and willconduct repairs later this morning. 12/16/09. Unsecured Door- At the Child School. Search conducted with negative results. No one inside and the school was in order. Later NYPD responded with PSD and the alarm had ceased. Police Investigation- PSD assisted Police on an investigation regarding a matter off Island. Minor Vehicle Accident- Between 2 vehicles minor damages. No injuries reported. EMS and NYPD refused. DOA/Investigation- PSD responded to a report of unresponsive adult female. EMS and NYPD responded. EMS transported the female to the hospital. At the hospital female was declared deceased. NYPD detective conducting an investigation. Noise Complaint- PSD responded and heard noise. Tenant did not open the door. Matter referred to RY Management. Smoke Condition- Tenant accidently burnt food in an apt. No injuries and no damages. EMS refused. Hallway windows opened to air out the smoke. Harassment - Tenant reported to PSD that another tenant was harassing her. PSD responded and conducted search with negative results. Complainant refused NYPD report. Lost Property - RIOC bus driver turned over property to PSD that was left on the bus. Property was turned over to owner. Property Damage - PSD officer parked PSD vehicle and when he returned notice damage to vehicle. Photos were taken. Aided - Tenant was not feeling well and transported to hospital. Aided- Male has stomach pains, called EMS, being transported to hospital. Water Leak- PSD, building manager and service responded to apartment for water leak, leak was coming from master bedroom toilet, service turned water off, service secured door. Harassment- Between 2 neighbors. No injuries. NYPD refused. Investigation- A person subletting for another allegedly took jewelry NYPD responded and classified job as grand larceny. Harassment- Youth congregating in the hallway PSD responded and youths were gone. Aided- a woman in labor was taken to the hospital by EMS. Minor Fire- A letter in the electric Gristedes sign caught on fire. Employees extinguished the minor fire. FDNY responded. The cause was electrical and occurred due to the snow. No injuries. Verbal Dispute- Over the purchase of a jacket. Jacket returned. No injuries. NYPD refused. Harassment- Between 2 residents. PSD and NYPD responded. NYPD referred complainant to court to obtain an order of protection. Alarm- At the Post office. PSD and Postal Police responded. Interior and exterior in order. Faulty fire alarm. General Manager to reset the alarm. Larceny- A Digital camera removed from a vehicle. NYPD refused. Vehicle Accident- A motorist struck a metal railing in the Motorgate Garage. No injuries. Damage to the vehicle and to the metal railing. NYPD and PSD responded. EMS refused. Urinating in Public- Two subjects issued summonses by PSD. Domestic Dispute- Between a female and her boyfriend. No injuries. PSD responded. NYPD filed a report. Male escorted out of apt. Unsecured Premises- At the Chapel Recreation Center. PSD responded and conducted a search with negative results. All in order. the door was locked and secured. Barking Dog- Two complaints of a dog barking excessively in an apt. PSD responded and confirmed complaint. No answer. Dept of Environmental Protection notified via complaint. Lost property- A job Identification card on Main Street. Aggravated Harassment- Between two tenants. PSD responded. 911 notified for NYPD. Aided/Disabled Wheelchair- A Coler Hospital patient's motorized wheelchair break locked up. this caused Coler Hospital Police notified. PSD responded and pushed wheelchair to a bus stop. Minutes later the wheelchair was operational. Coler Hospital patient went to Coler Hospital. Unsecured Door- a mail room door of a building. PSD checked and interior in order. Postal Inspection Dispatch notified. The cash-strapped agency that runs New York City subways and buses is considering a proposal to end the more than 60-year-old practice of giving free rides for schoolchildren, a move that could cost half a million students nearly $1,000 per year in transportation fees. ... The proposal has been seen by some as a negotiating tactic, and some observers argued that the authority was within its rights to stop financing a program whose costs were once shared by the city and the state; in recent years, those government subsidies have flat-lined or disappeared. ...“If revenues come back in January, more so than we are predicting… if the upturn in the market is significant enough, the first thing I will do with added revenue is target them back to the MTA in order to relieve the young people from losing their MetroCards,” Paterson said during an appearance in the Bronx Tuesday. Roosevelt Island 360 does an analysis of what doing away with the free student Metro Card might mean for Roosevelt Island families. A reader forwards us this online petition asking MTA Chairman Jay Walder to restore free student Metro Cards and seeking signatures. Hard working parents and students should not be punished for the MTA�s poor planning and mismanagement of its budget. The proposal to cut the free and reduced fare Student MetroCard program as a means of balancing the MTA budget is unacceptable and should be taken off the table immediately. The free-fare student program accounts for less than 2% of the total MTA budget, and the State has not pulled its weight to fund this program as promised. However, eliminating such an important program to close a relatively small gap would be extremely shortsighted and detrimental to New York City�s future. While other jurisdictions rely on a yellow school bus to get their children to school, in New York City the yellow MetroCard is our school bus, which 400,000 students rely on every day to travel to school and participate in after-school activities. Cutting the Student MetroCard program is not the answer to the MTA�s budget shortfall, and we will not stand for its proposed elimination. The MTA must act responsibly and consider a wide range of budget solutions before placing this financial burden on parents and students. 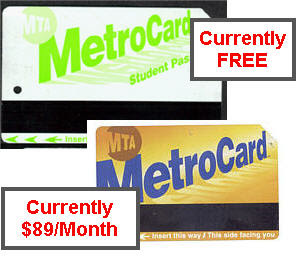 We urge you to withdraw the MTA proposal to cut the free and reduced fare Student MetroCard program. So far, there are 5562 signatures. 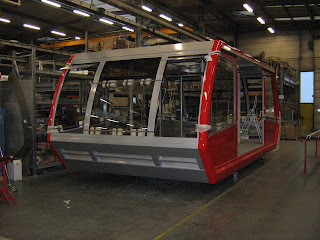 In a few months (March 2010) the tram will be out of service while undergoing a modernization program and both cabins will be replaced. No longer will the cabins operate in sync with each other but will make their way back and forth to Roosevelt Island independent of one another. 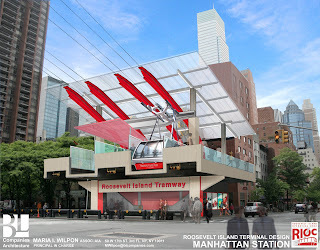 Here are the latest pictures of what the new Poma designed Roosevelt Island Tram Cabins will look like. as well as some earlier drawings. 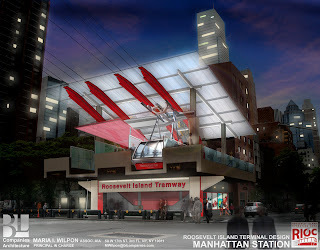 Also, the Roosevelt Island Tram Station. There have been several postponements of earlier planned starting dates for the modernization project. 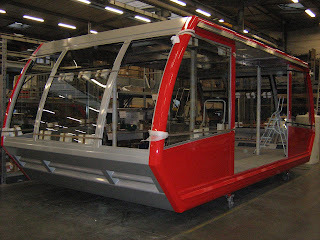 If it does start as planned this time, hopefully, the Tram will be back in operation by September 2010. 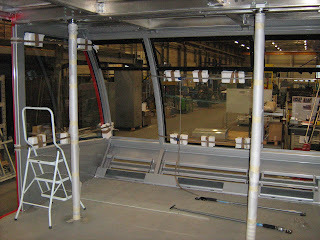 To the blogger about the mechanics outside the Tram, they were on the tower superstructure. 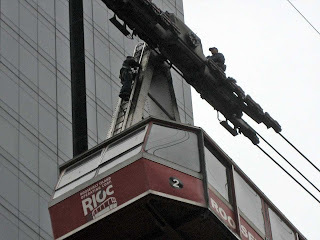 The only time they ride the tram on the outside is when going to or coming from a particular tower for maintenance or inspection. Please remember that we have decided to not proceed with the station improvements until after the tram is back in operation and we then can make sensible decisions about available budget and plan for upgrades. The existing concept renderings of station improvements, while very attractive, are on the shelf until further notice. 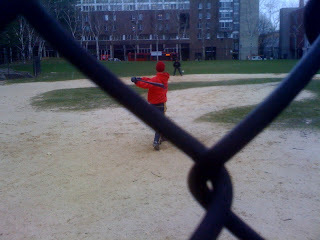 As I was walking past Capobianco Field heading towards the Farmers Market on a cold, blustery, pre-snowstorm Roosevelt Island Saturday afternoon, I was pleasantly surprised to hear the familiar cracking sound of a ball hitting a baseball bat. 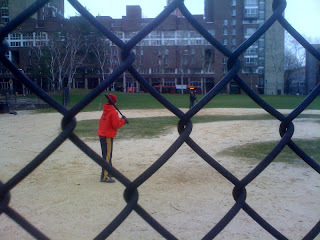 As I turned towards this unexpected sound I saw two bundled up kids, one hitting ground balls to the other at shortstop. 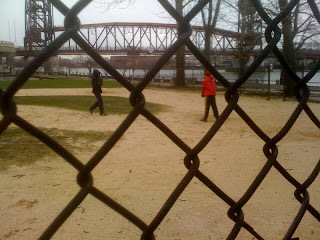 Who knows, maybe future Derek Jeter's are playing right here on Roosevelt Island? A couple of hours later came the snow. Below are scenes from a December 2009 Roosevelt Island snowstorm. 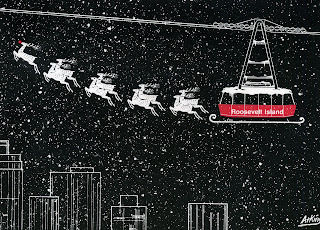 Hey, it's the weekend before Christmas and guess who is stopping by Roosevelt Island this weekend. 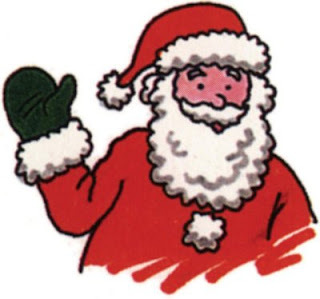 That's right, Santa Claus himself will be making an appearance at the Riverwalk Bar & Grill (425 Main Street) Saturday afternoon from 2 -6 PM to have pictures taken with local kids. Stop by and say Hi to Santa! Hope you have all been good this year. For classical music lovers there will be an All Bach Holiday Celebration Tonight (8 PM) at the Good Shepherd Community Center (543 Main Street) presented by the Rosemarie & Robin Russell Family Concert Series. The program will include Concerto in D minor for Oboe and Violin and Brandenburg Concerto No. 5 in D Major. The Pogues and Kirsty McColl will not be coming to Roosevelt Island this year, well never, but here is their Fairytale Of New York. Not a cheerful Christmas song but certainly beautiful and poignant - one of my favorites. Good news for Roosevelt Island subway service this weekend. According to the MTA, there are no scheduled F Train subway service disruptions for Roosevelt Island. Change escalator direciton and do something about weekend outage. Trevre received this third attempt by the MTA to answer his question about Roosevelt Island F train subway service. We again regret any difficulty you experienced. Despite our efforts to maintain regularly scheduled subway service, disruptions sometimes occur for a variety of reasons, including sick customers, police activity, mechanical malfunction and system repair work. We generally schedule system repair work for late nights and weekends, when ridership is lighter, so that fewer customers will be inconvenienced. During general orders related to system repairs, orange notices advising customers of subway service changes should be posted in affected stations and regular public address announcements should be made to customers. In addition, station agents should note service changes on the passenger information boards located in their booths. In response to your complaint, we have referred your e-mail to supervision in our Department of Subways for their review and further corrective action. Please be assured, supervision in our Department of Subways will take steps to ensure that their operating personnel follow these procedural requirements. For the future, please note that subway service change information is available through our website at www.mta.info and our Travel Information Center at (718) 330-1234, which is open from 6 a.m. until 10 p.m., seven days a week. You may also call Customer Services at (718) 330-3322, regarding any other transit-related matter. egress the station. Nevertheless, a copy of your complaint has been referred to supervision in our Division of Stations for their review. Please be assured that they will continue to closely monitor all station operations and escalators, including those at the Roosevelt Island station, to ensure that they are well maintained and operated with the highest emphasis placed on customer safety. 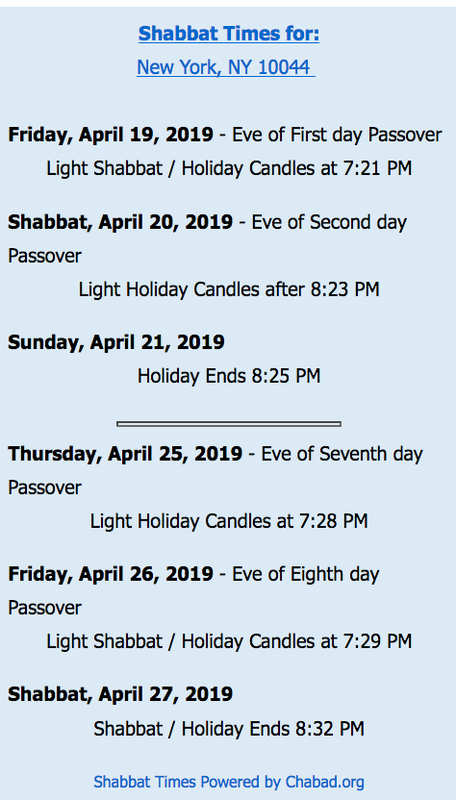 If you have any further transit-related concerns, please contact Customer Services at (718) 330-3322, from 6:00 a.m. to 10:00 p.m., daily, or write to Customer Services at 2 Broadway, Room A11.146, New York, NY 10004. We take the concerns of our customers very seriously and thank you for having taken the time to contact us. I have noticed that one of the Roosevelt Island Lower Level escalators to the Manhattan platform is now running in the down direction. Is this the result of Trevre's messages or maybe recent meeting between residents and MTA? The investigation revealed that the young lady who passed away was a 21 year-old African-American Female who resided in the Astoria Houses in Queens. She was approximately 5'4" and approximately 150 lbs. 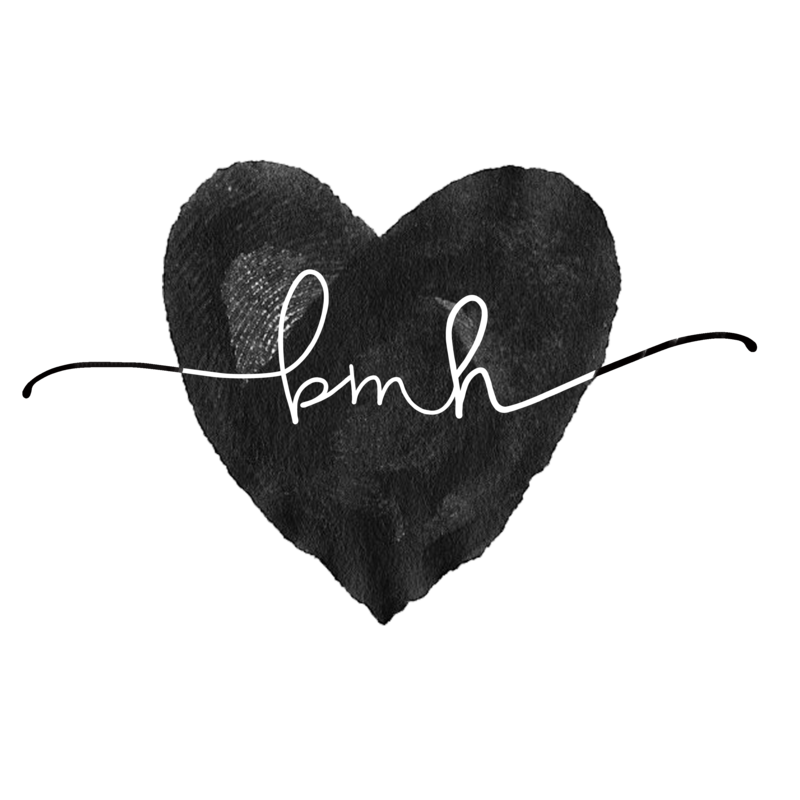 Her parents found a Suicide Note and were notified of her death by the NYPD Detectives. There is nothing further to report on the Suicide at this time. Our prayers go out to the young lady's family. RIOC Proposed Fiscal Year 2010 -11 Budget For Roosevelt Island - What Happens If Southtown Riverwalk Buildings 7 -9 Don't Get Built Or On Time? Above is RIOC's proposed fiscal year 2010-11 budget for Roosevelt Island. It is also posted on RIOC's web site. Projected Cash Flow has been extended out to year 2025 (15 years) as opposed to 5 years in past budgets. Salaries Budgeted for 2011 included a 3% COLA increase for non-union employees but is highly unlikely to be paid due to the State's financial condition. Budget Risks (page 8) addresses the financial effect on Projected Cash Flow if Southtown 7,8 & 9 does not go forward. For further information on RIOC's Proposed Budget, take a look at the webcast of RIOC's December 3 Audit Committee meeting in which RIOC CFO Steve Chironis briefed the Directors on subject. RIOC webcasts generally remain available on their site for only a month after taking place. Let me know if you see anything interesting in budget. The Proposed Budget FY 2011 was modified to reflect an increase in actual percentage rent from Manhattan Park, which is greater than the estimates made in the original Proposed Budget FY 2011. Manhattan Park provided the actual percentage rent information subsequent to the distribution of the original Proposed Budget FY 2011. The modified budget is here. Please be advised that the deadline to submit Public Purpose Applications is Thursday, December 31st at 5PM. 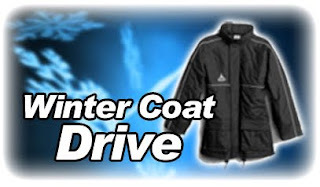 Applications can be mailed or dropped off at 591 Main Street with ALL supporting documents. If you have any additional questions, please contact me by phone or email. 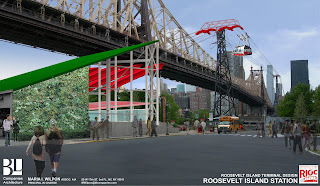 More info on Roosevelt Island Public Purpose Funds available here. Red Tail Hawk Spotted On Roosevelt Island Window Sill By A Berdy - Looking For Dinner? File this under the category of you never know what you might find looking out of your Roosevelt Island Window. This is for the Birds!!!! !He sat there 30 minutes and refused to turn around........BIRD BRAIN. What was the Roosevelt Island Red Hawk doing on the 19th Floor Window Sill? In 2007 a Red Tail Hawk thought to be the progeny of Central Park West's Pale Male was spotted at Capobianco Field. At the time NY Magazine suggested this was an example of generational downward mobility. Roosevelt Island: The winged progeny of Central Park West celebuhawk Pale Male may be roosting here. Talk about generational downward mobility. Please be advised that at 1:28PM, the Public Safety Department was notified of a possible intoxicated person down in the AVAC yard. Upon arrival, our responding officers found an unconscious female lying face down near a dumpster. The female had no pulse and appeared to be deceased. 9-1-1 was immediately called and FDNY Paramedics and EMT's were on scene expeditiously. NYPD was also on scene and initiated an investigation, which is still on-going. The identification of the female is unknown at this time. NYPD Detectives immediately opened a Case and I am not at liberty to disclose anything further. I will give you an update when I can. UPDATE - 12/18 - Mr. Guerra provides some additional information. Are you looking for that special Christmas/Chanukah/Kwanza/Holiday gift with a unique Roosevelt Island flair? If so, our own Ally, the chef at the Riverwalk Bar & Grill may have the answer for you. A Roosevelt Island Ginger Bread Tram. 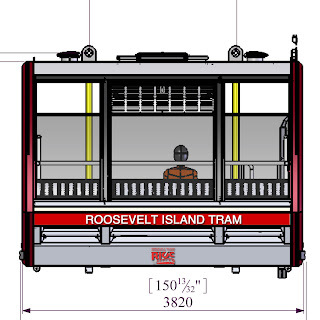 Imagine, just like RIOC will be dismantling the parts of the real Roosevelt Island Tram next March to be replaced by a new Tram, you can dismantle your very own Ginger Bread Tram and then have the yummy pleasure of eating it. I can remember many wonderful past Christmas Holidays waiting to dig into the Ginger Bread house made by my cousin. It was delicious! 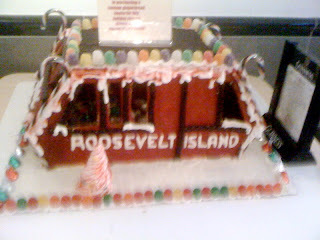 Looking forward to doing same with Roosevelt Island Ginger Bread Tram. I am told that Ally can also make Ginger Bread replicas of other Roosevelt Island landmarks or any other building structure you wish. Here's how they make a Ginger Bread House from Walt Disney World's pastry chef. 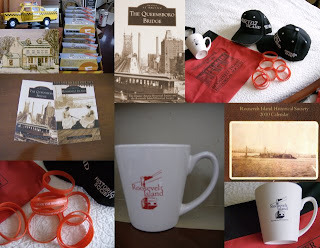 There are also Holiday Gifts available at the Roosevelt Island Historical Society's kiosk at the Tram Plaza. 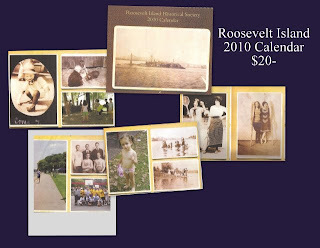 SATURDAY AND SUNDAY 12 NOON TO 5 P.M.
Another option is the Main Street WIRE 2010 Calendar which includes some great Roosevelt Island pictures. I recently parked at the garage and there is no sign posted that they do not accept credit cards. Not even on the entrance. I have never gone to a parking garage that did not accept credit cards. 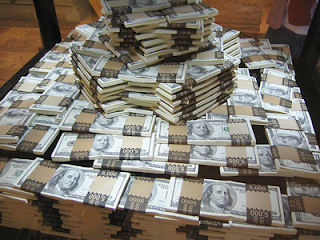 The only place to get cash out is Gristedes. I would like to see the garage accept credit cards...maybe you can help! The Motorgate Garage is owned by a partnership between RIOC (61%) and Roosevelt Island Associates (39%), the owners of Manhattan Park. There are 1989 parking spaces. In 2005 RIOC, through the real estate firm of Jones Lang Lasalle issued a Request For Proposals for Motorgate but nothing ever came of it. Parking Rates For the Motorgate Garage are listed at the RIOC web site. I asked RIOC President Steve Shane to comment and will advise as soon as I hear back. Also, in addition to the Motorgate Garage entering the modern era with the acceptance of debit or credit cards, how about the Roosevelt Island Farmers Market accepting electonic payments as well? MTA's Subway Line General Manager's Email Response System - How Is It Working For Roosevelt Island F Train So Far? The MTA provides email addresses for subway line managers including one for the F Train Line General Manager serving Roosevelt Island. I live on Roosevelt Island and am concerned not enough is being done about transportation outages during the weekend on the F train. For the past few weekends the F-train has been down either in one direction or the other. Please provide alternative transportation to get off the island (like a water taxi, more frequent bus service, or different hours for service interruptions). While this isn't a huge issue now, I am sure in March when the tram goes down for repairs it will become a huge issue, so I would like to know the plan in advance. Also all four escalators on the lower part of the station always run up. Why not run two down and two up, at least in the morning when everyone is leaving anyways. If you would like travel directions, the fastest and best way to get them is to visit the Trip Planner (http://travel.mtanyct.info), our online itinerary planning system. Trip Planner also provides service alerts and advisories to help you plan before you head out. You may also contact New York City Transit Travel Information at 718-330-1234; 7 days a week, 6AM to 10PM. Non-English speaking customers should call 718-330-4847; customers with disabilities call 718-596-8585; and TTY customers call 718-596-8273. Please note that we are unable to provide specific travel directions via our email system. I would like to extend my utmost appreciation for your correspondence. Your valued comments assist me along with my staff to implement the best service possible to meet your standards. My staff and I are always at your service. Our goal is to achieve excellence by providing an environment that is reliable, comfortable, and convenient, with you always being our focal point. Your comments and concerns will be addressed with expediency. Thank you in advance for your continue patronage of MTA-NYCT. I shouldn't have to click 3 buttons on your website to send you an email, I don't want an automated customer response, and I will understand your appreciation for my correspondence when my correspondence are addressed. This is what they sent me, they didn't even answer my question. We sincerely regret if you had an unfavorable experience. Unfortunately, station escalators may sometimes be inoperable because of mechanical malfunction or vandalism. When an escalator is reported to be inoperative, the Department of Subways is notified and station supervision attempts to restart the escalator. If unsuccessful, the Department of Subways is again notified and maintainers are dispatched as soon as possible to make necessary repairs. 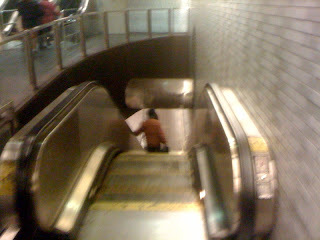 Instances of escalator vandalism are also reported to the New York City Police Department's Transit Bureau. Be assured that supervision will continue their efforts to closely monitor all station escalators to ensure that they are maintained in a satisfactory condition and repaired in a timely manner. If you have further station-related concerns, including reports of escalator and elevator outages, you may contact Customer Services at (718) 330-3322, from 6:00 a.m. to 10:00 p.m., Daily, or write to Customer Services at 2 Broadway, RM A11.146, New York, NY 10004.